Large smartphones are those models with screen sizes ranging from 5.5 to 6.8 inches. Normally, the devices with 7 inches are referred to as tablets. However, the line between the smartphones and this tablet is slowly diminishing. In recent years, we see a brief transition because are smartphones as large as 7 inches tall are already out there in the market. The modern phablets can replace the smartphones- this could be one fear which is why the manufacturers have designed smartphones as tall as 7 inches in size. This may not actually happen in reality but the manufacturers are reluctant to remain in the backoot in any aspects that reflect the current changes of mobile devices. To be honest, it is yet another large device with 6.9 inches of display. The body is similar to Mi A2. It has got slightly rounded edges. The frames are also same as in Mi a2. This device is the family of Mi Max Series. The aspect ratio on the screen is 18: 9. The front panel is huge with the resolution being 2160 x 1080 pixels. The color reproduction is very high. The back panel has a double vertical camera and two-color flash on the upper left corner. There is a USB type-c 1.0 port between the two speaker grills on the lower edge. This phone packs a powerful Snapdragon 636 processor with a clock speed a 1.8 GHz and a graphics chip Adreno 509 is also present. We have to ram options- 4gb or 6gb. You can also choose from either 64 GB or 120 GB for the internal storage. The memory is expandable via SD card. The hybrid SIM card allows you to place two Nano SIM side by side or a Nano SIM plus a MicroSD card. The back part is equal to a 12-megapixel camera plus 5-megapixel auxiliary camera with LED flash. The front side has an 8-megapixel camera with LED flash. The fingerprint scanner lies in the center. The phone supports stereo speakers which are kind of cool. The display has 84% of the NTSC color gamut. As for the connectivity, the phone supports, Dual 4G VoLTE, 2.4GHz / 5GHz Wi-Fi 802.11ac MIMO, Bluetooth 5, GPS and GLONASS, IR port. The phone measures 176.15 x 87.4 x 7.9 mm and weighs about 221 grams. The power is delivered by 5,500 mAh battery with a support for Quick Charge 3.0. Large screen 6.9 inches with Full HD +. Dual camera with optical sensor Sony IMX363, like the flagship Mi 8. Support for artificial intelligence algorithms. Battery with a capacity of 5500 mAh. 4/6 GB RAM (LPDDR4X memory type). Support for microSD cards up to 256 GB. Infrared port (IRDA) and 3.5 mm jack. Fingerprint scanner and face recognition “AI Face”. Due to the large size, the phone is not suitable for those who are used to using it with one hand. Asus Zenfone Max Pro M1 was released in the market in May 2018. The 5.99 inches tall screen has the resolution of 1080 x 2160 pixels in 18:9 aspect ratio with approximately 404 PPI density. The screen-to-body ratio is about 76.2 %. The CPU clocks at 1.8 GHz with the aid of a Qualcomm Snapdragon 636 processor in combination with the 8-core CPU and graphics accelerator Adreno 509 GPU. The back part has a Dual Camera- 13 MP+5MP respectively with a depth sensor MP Camera with the support for LED flash, HDR and panorama. The front camera is about 8 MP with a LED flash but you will have 16MP in 6GB Ram model and there is a 3. 5-millimeter audio jack. In dimension, the phone measures 159 x 76 x 8.5 mm and weighs about 180 grams. It does have a support for the hybrid card slot that uses two sim slots and the memory can be extended up to 512 GB and you’ll also have three internal storage options-64 GB, 4/6 GB RAM or 32 GB, 3 GB RAM. They have used a Li-ion 5000 mAh battery. The connectivity is enabled with Wi-Fi 802.11 b/g/n, WiFi Direct, hotspot. The operating system used is Android 8.1 Oreo. Asus Zenfone Max Pro M1 comes with a good processor and a good price. Yes, Asus Zenfone Max Pro M1 is an excellent choice for those who want to buy a budget smartphone with really good battery life. The specifications may not create a big difference when comparing it against its competitors but the only difference is the powerful Snapdragon 636 processor and a big battery. So you can play high intensive games without any problem. The capacity of the battery is unbelievable as it will go about 164 hours on standby, 42 hours of talk time, 21 hours of web browsing and 25 hours of video playback. 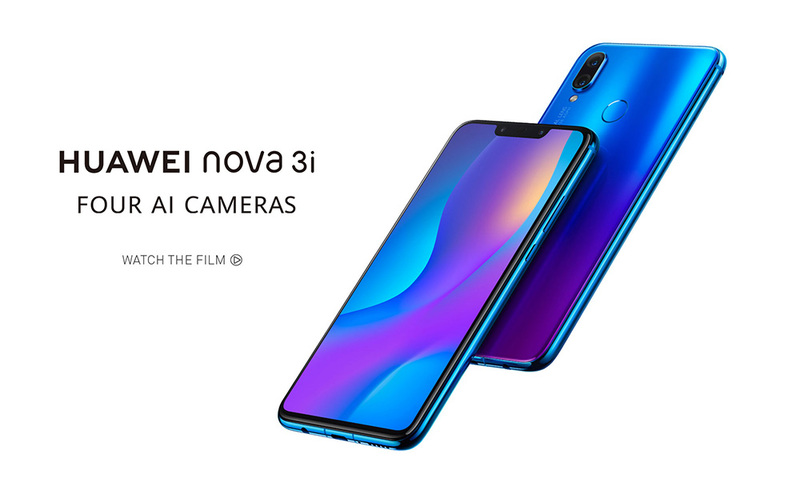 Huawei P Smart+ (nova 3i) was released in the market in August 2018. The 6.3 inches tall screen has the resolution of 1080 x 2340 pixels in 18:9 aspect ratio with approximately 409 PPI density. The screen-to-body ratio is about 82.2 %. The CPU clocks at 2.2GHz with the aid of a Qualcomm Snapdragon 636 processor in combination with the 8-core CPU and graphics accelerator Mali-G51 MP4 GPU. The back part has a Dual Camera- 24 MP+2MP respectively with a depth sensor MP Camera with the support for LED flash, HDR and panorama. The dual front camera has 16MP+2MP respectively with an LED flash included with a LED flash land there is also a 3. 5-millimeter audio jack. In dimension, the phone measures 157.6 x 75.2 x 7.6 mm and weighs about 169 grams. It does have a support for the hybrid card slot that uses two sim slots and the memory can be extended up to 256 GB and you’ll also have two internal storage options-128 GB, 4 GB RAM or 64 GB, 4/6 GB RAM. They have used a Li-ion 3340 mAh battery. The connectivity is enabled with Wi-Fi 802.11 b/g/n, WiFi Direct, hotspot. The fingerprint sensor is on the back side. The operating system used is Android 8.1 Oreo. Oppo F9 Pro was released in the market in August 2018. The 6.3 inches tall screen has the resolution of 1080 x 2340 pixels in 19.5:9 aspect ratio with approximately 409 PPI density. The screen-to-body ratio is about 84.0 %. The CPU clocks at 2.0 GHz with the aid of a MediaTek MT6771 Helio P60 processor in combination with the 8-core CPU and graphics accelerator Mali-G72 MP3 GPU. The back part has a Dual Camera- 16 MP+2MP respectively with a depth sensor and an LED flash, HDR and panorama. The front panel has single of 25MP & there is also a 3. 5-millimeter audio jack with active noise cancellation mic. In dimension, the phone measures 156.7 x 74 x 8 mm and weighs about 169 grams. It does have a support for the hybrid card slot that uses two sim slots and the memory can be extended up to 256 GB and you’ll also have internal storage options-64 GB and two Ram options- 6 GB or 4 GB RAM. They have used a Li-ion 3500 mAh battery with fast charging technology integrated. The connectivity is enabled with Wi-Fi 802.11 b/g/n, WiFi Direct, hotspot, Bluetooth 4.2 and GPS and the sensors used are an accelerometer, gyro, proximity, compass. The fingerprint sensor is on the back side. The operating system used is Android 8.1 Oreo. Nokia 7 plus was released in the market in March 2018. The 6.0 inches tall screen has the resolution of 1080 x 2160 pixels in 18:9 aspect ratio with approximately 403 PPI density. The screen-to-body ratio is about 77.2 %. The CPU clocks at 2.2 GHz with the aid of a Qualcomm Snapdragon 660 in combination with the 8-core CPU and graphics accelerator Adreno 512 GPU. The back part has a Dual Camera- 12MP+13MP respectively with a 2X Optical Zoom and a dual-tone LED flash, HDR and panorama, and Zeiss Optics. The front panel has a single 16MP camera & there is also a 3.5-millimeter audio jack with active noise cancellation mic. In dimension, the phone measures 158.4 x 75.6 x 8 mm and weighs about 183 grams. It does have a support for the hybrid card slot that uses two sim slots and the memory can be extended up to 256 GB and you’ll also have one internal storage options-64 GB of ROM and 4 GB of RAM. They have used a Li-ion 3800mAh battery with fast charging technology integrated. The connectivity is enabled with Wi-Fi 802.11 b/g/n, WiFi Direct, hotspot, Bluetooth 5.0 and GPS and the sensors used are an accelerometer, gyro, proximity & compass. The fingerprint sensor is on the back side. The operating system used is Android 8.1 Oreo. UMIDIGI Z2 Pro is a stylish smartphone with a massive 6.2-inch notch display. The smartphone is available in three versions: Twilight, carbon fiber and with a ceramic back cover and this looks to be more expensive build but its price is reasonable with the fashionable gradient coloring touch. Umidigi Z2 Pro runs on Android 8.1 Oreo Operating System. It has a front camera at 16 megapixels, a dual rear module with 16 Mp + 8 Mp sensors coupled with an NFC chip, an Helio P60 processor, 6 GB of RAM and internal storage for 128GB. The phone is equipped with a Non-Removable 3550 mAh battery with a fast charging technology. Umidigi Z2 Pro Smartphone Supports Dual Sim modules. 4G LTE Network is quite good for this phone. The available sensors of this phone are: Geomagnetic Sensor, Ambient Light Sensor, Proximity Sensor, Accelerometer, Gyroscope. For the Wireless connectivity of this phone, we have 3G,4G,Bluetooth,CDMA,GPS,GSM,LTE,WiFi. The phone with about 165 gm in hand. 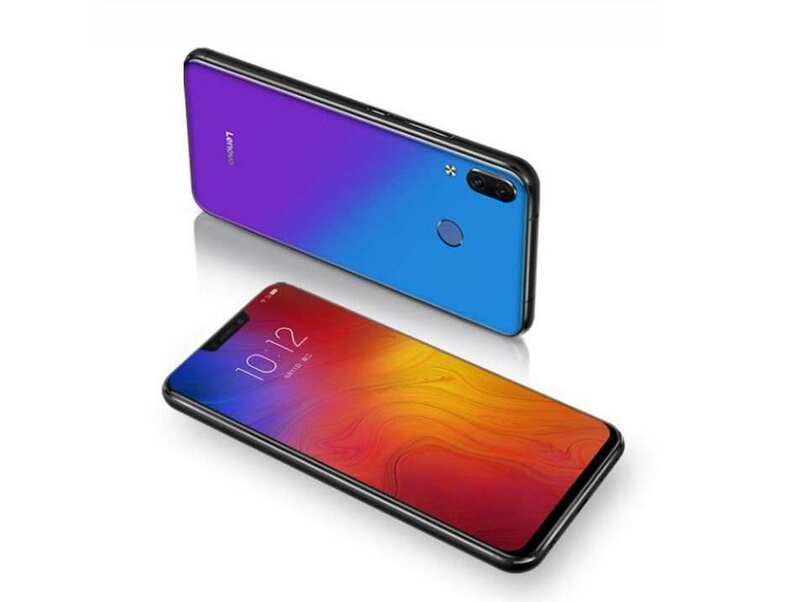 Lenovo Z5 plus was released in the market in June 2018. The 6.2 inches tall screen has the resolution of 1080 x 2246 pixels in 18.7:9 aspect ratio with approximately 402 PPI density. The screen-to-body ratio is about 83.6 %. The CPU clocks at 1.8 GHz with the aid of a Qualcomm Snapdragon 636 in combination with the 8-core CPU and graphics accelerator Adreno 509 GPU. The back part has a Dual Camera- 16MP+8 MP respectively with a 2X Optical Zoom and a dual-tone LED flash, HDR and panorama; The front panel has single 8 MP camera & there is also a 3.5-millimeter audio jack with active noise cancellation mic. In dimension, the phone measures 153 x 75.7 x 7.9 mm and weighs about 165 grams. It does have a support for the hybrid card slot that uses two sim slots and the memory can be extended up to 256 GB and you’ll also have two internal storage options-64/128 GB, 6 GB RAM. They have used a Li-ion 3300 mAh battery with fast charging technology integrated. The connectivity options include Wi-Fi 802.11 b/g/n, WiFi Direct, hotspot, Bluetooth 5.0 and GPS and the sensors used are accelerometer, proximity & compass. The fingerprint sensor is on the back side. The operating system used is Android 8.1 Oreo. 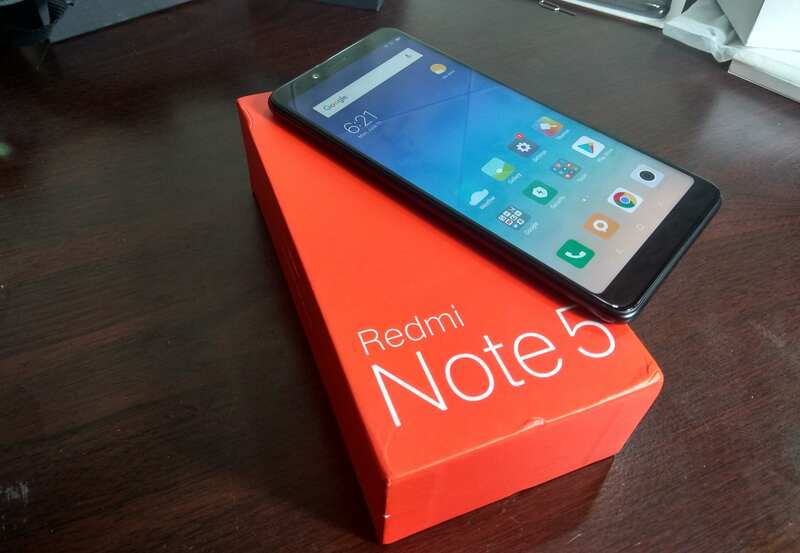 Xiaomi’s Redmi Note 5 was released in the market in March 2018. The 5.99 inches tall screen has the resolution of 1080 x 2160 pixels in 18:9 aspect ratio with approximately 403 PPI density. The screen-to-body ratio is about 77.4 %. The CPU clocks at 1.8 GHz with the aid of a Qualcomm Snapdragon 636 in combination with the 8-core CPU and graphics accelerator Adreno 509 GPU. The back part has a Dual Camera- 12MP+5 MP respectively with integrated depth sensor and a dual-tone LED flash, HDR and panorama; The front panel has single 13 MP camera with LED flash too & there is also a 3.5-millimeter audio jack with active noise cancellation mic. In dimension, the phone measures 158.6 x 75.4 x 8. mm and weighs about 181 grams. It does have a support for the hybrid card slot that uses two sim slots and the memory can be extended up to 256 GB and you’ll also have two internal storage options-64 GB, 4/6 GB RAM or 32 GB, 3 GB RAM. They have used a Li-ion 4000 mAh battery with Quick Charging 3.0 integrated. The connectivity options include Wi-Fi 802.11 b/g/n, WiFi Direct, hotspot, Bluetooth 5.0 and GPS and the sensors used are an accelerometer, gyro proximity & compass. The fingerprint sensor is on the back side. The operating system used is Android 8.1 Oreo. -Larger HD+ display (5.99 inches) with good resolution. 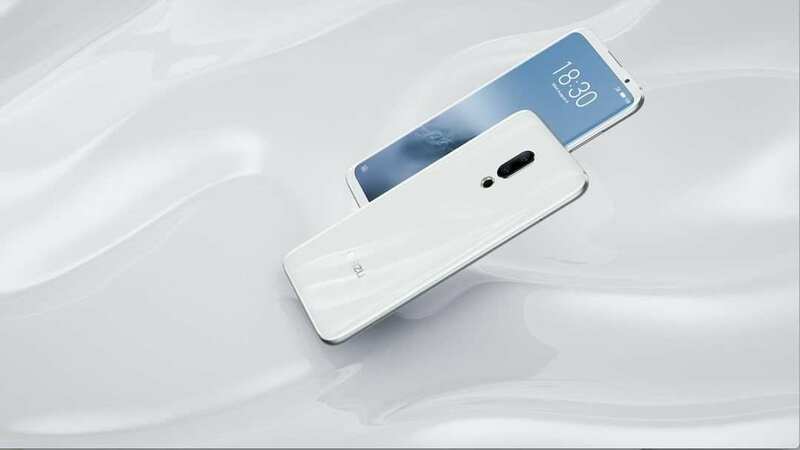 -The Redmi Note 5 comes with a very thin bezel with 2.5D curved glass in full metal body feels expensive. -This phone has an inbuilt IR blaster on top which allows the user to control IR supported devices like TV, AC etc. -Very good battery backup (4000mAh) is enough to stay awake more than one day with. -It has MIUI 9, which will give you a nice user experience. -Some features like one hand mode, MI cloud, VR etc. are very helpful. -The camera performances are not pleasant. It shows poor performance in low light photography. -Same design as its predecessor. -The Smartphone comes with a Hybrid SIM slot. -No earphones included in the box. Cubot P20 was released in the market in August 2018. 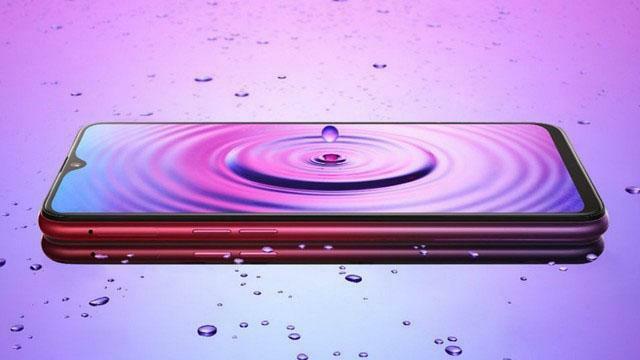 The 6.0 inches notch screen has the resolution of 2246 x 1080 pixels in 19:9 aspect ratio with approximately 403 PPI density. The screen-to-body ratio is about 77.2 %. The CPU clocks at 1.5 GHz with the aid of an MTK6750T processor in combination with the 8-core CPU and graphics accelerator Mali T860. The back part has a Dual Camera- 20MP+2MP respectively with a dual tone LED flash. The front panel has the single 13MP camera & there is also a 3. 5-millimeter audio jack with active noise cancellation mic. In dimension, the phone measures 156.25x 75.25 x 8 .25 m and weigh about 167 grams. It does have a support for the hybrid card slot that uses two sim slots and the memory can be extended up to 256 GB and you’ll also have one internal storage options-64 GB of ROM and 4GB of RAM. They have used a Li-ion 3800mAh battery with fast charging technology integrated. The connectivity is enabled with Wi-Fi 802.11 b/g/n, WiFi Direct, hotspot, Bluetooth 5.0 and GPS and the sensors used are an accelerometer, gyro, proximity & compass. The fingerprint sensor is on the back side. The operating system used is Android 8.1 Oreo. 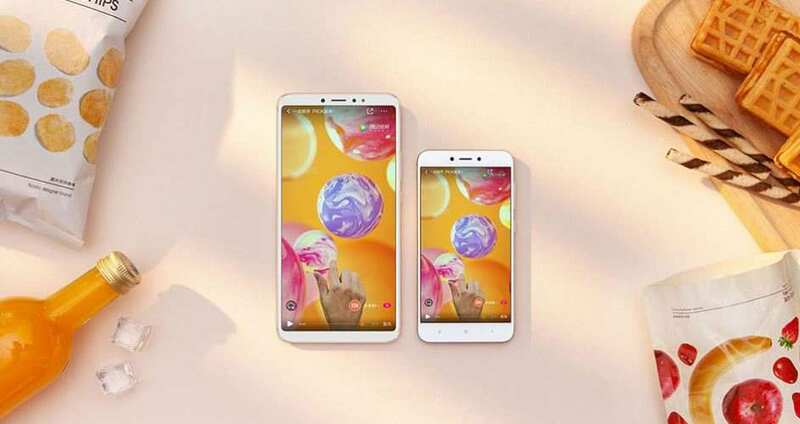 Elephone A4 was released in the market in July 2018. The 5.85inches tall screen has a resolution of 1440*720 pixels in 18.9:9 aspect ratio with approximately 403 PPI density. The screen-to-body ratio is about 70%. The CPU clocks at 1.5 GHz with the aid of ARM-CORTEX A53 processor in combination with 4-core CPU and graphics accelerator PowerVRGE8100 GPU. The back part has a single 16MP camera and with LED flash. The front Panel has an 8 MP with LED flash too and there is a 3.5 mm audio jack. In dimension, the phone measures 72.8 x 150.4 x 8.9 and weighs 198 grams. The memory can be expanded via TF card to 128GB and it has 2 internal storage options-3GB RAM/16GB ROM and 4GB RAM AND 64 GB ROM. They have used 3000mAh battery with Quick Charge function Supported. The Connectivity options include Bluetooth 4.2, Wi-fi and GPS. The fingerprint Scanner is on the back side. The Operating System used is Android 8.